LUKE AIR FORCE BASE, AZ — When talking about Lt. Col. Matthew Hayden's service, Col. Michael Richardson used a football analogy. No matter what Col. Hayden accomplished--and the list is long--you would never see an end zone dance. "If you met him in church, or you met him at a 7-Eleven, or you met him in the grocery store, he's just the most quiet, unassuming, cool and confident guy that you can possibly imagine," Col. Richardson said. The two fighter pilots knew each other for the better part of two decades. They flew together on two combat deployments. "He had a whole chest full of air medals for things he did in the F-35 program," said Col. Richardson. The medals were not just for sustained performance, but for putting his life on the line during his time serving in Operation Iraqi Freedom. "To get a Single Mission Air Medal you actually had to go through one of those situations where people were shooting back at you," said Col. Richardson. "He met and defeated the enemy in those kinds of conditions." Lt. Col. Hayden died Sunday when the small Cessna plane he was flying crashed into a field near Columbus, Ohio. His untimely death is a shock to those who knew him. The 44-year-old just retired last summer. 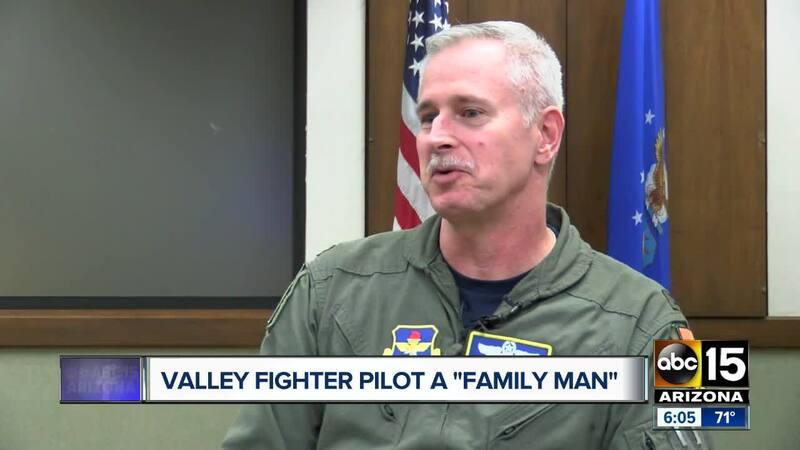 "Caring for his daughters, his oldest is getting ready to enter college this fall, is one of the things I think that governed his decision to retire rather than stay in the Air Force," Col. Richardson said. Though he died an American hero, Col. Richardson said he was most proud of his family. "The sun rose and set on those two baby girls of his," said Richardson. "He went to great lengths to be the best husband and father he could be. That combination of character is hard to find. He'll be missed." If you would like to donate to Lt. Col. Hayden's family, there is a crowdfunding page set up to help with expenses.